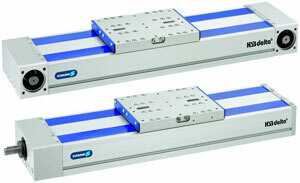 Delta Series Linear Actuators - SCHUNK Inc.
Low profile linear axis, available with screw drive or toothed belt drive. Dual square rail bearings for high load carrying capability. Strip seal provides environmental protection.